Still trying to avoid Christchurch as much as possible, I took my refuge in kaikoura, a small village about 2,5 hours north of christchurch. It is well-known for its marine life, and we're talking a LOT of marine life. Tomorrow, I've got a date with the dusky dolphins and I'll be damned if they don't show up. Today though, I was planning on mending my poor, overused wallet and stay to doing cheap stuff. So with any luck, you save hundreds of dollars just by booking through Bookme. Second hobo tip of the day: skip Kiwi-experience and magic bus and all that s***. They may have a friendly driver, and some discounts but 1: they can't really choose where to go all the time and 2: they charge atleast twice of what you'd pay for a nakedbus pass. I bought 10 trips (one trip being just about any stretch available) for half of what kiwi experience charge for a minor tour around the south Island. So go for intercity or naked bus when you come to NZ. Kiwi and magic may have good groups, but for anyone who's independant and wants to save up money to do really cool stuff instead: use nakedbus and a BBH card. BBH being hobo tip number three: to stay cheap on accomodations and make sure that you don't always stay at flashpacker places, get a BBH card. You'll find some BBH-connected hostel in every town, and everytime you show your BBH card you get between 3 and 8 dollar discount per night. So instead of 29 dollar (150-160 SEK) I get around 24-25 dollars (120-130 SEK). Plus this includes a map of all the hostels around New Zealand connected to BBH and their prices. Awesome s*** when moving about. And number 4, this i can't confirm yet but I've heard about it from others: start in Auckland and there you can get a car for less than most of the buspasses. We're talking 500-600 dollars for a veichle. This, if true, would be awesome, since car is by far the best way to get around. 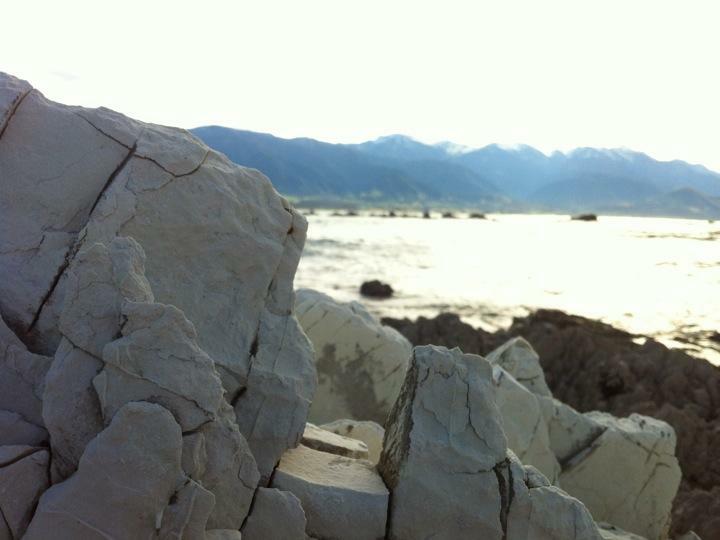 Plus, I'm to young to rent one, but buy is ok.
And that's it for today, btw, kaikoura is beautifull. Went through a massive rainstorm yesterday, but otherwise fine. Christina Silfwerbrand Farfar och jag följer di resa.